I was recently interviewed by Margaret, at Knit 1 For the Road. I know Margaret from Creating the Hive (do check out this very active handmade community). I know Margaret as an owner of adorable Yorkies just as me, but others know her for her vast knowledge and experience in knitting. This is one craft/art I never took up. But it's an art that amazes me. I love to look at all the patterns knitters make. 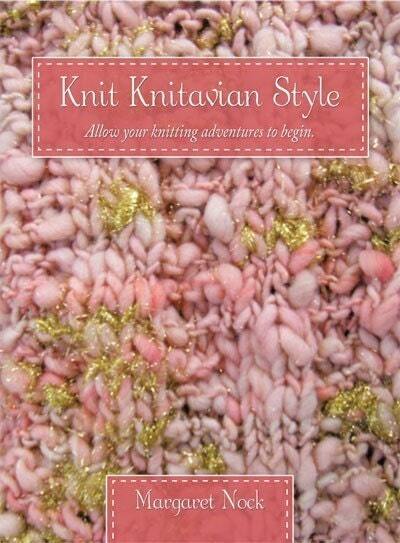 Margaret is a published author about knitting, Knit 1 for the Road and also her latest book Knit Knitavian Style. She's also written articles for a variety of knitting magazines. If you are a knitter, I recommend you networking with Margaret. She's a fabulous supporter of indie artists, and she's an invaluable resource for the knitting community. Please read my interview, Finding Charm is Easier than You Think... on Knit 1 For the Road, but also check out her blog, her books, her articles, and more. Use the links at the top of the post or above the comments. I really do need to pick up my kntting, I have definitely slacked off!! Off to check out the Hive!! Thank you so much FancieStrands and Michele! I'm so glad you enjoyed it. Have a great holiday weekend. Love your Blog and love your jewelry. Do you make your own jewelry? Thank you. Yes, I make my own jewelry. Something fun to do. It's a hobby for me. Have You Heard of Etsy Item of the Day?